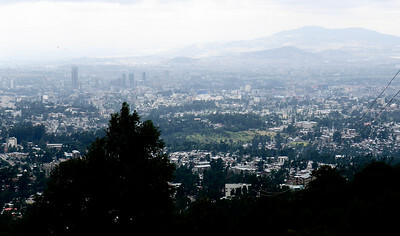 After arriving in the capital, Addis Ababa, located in the center of the country, we flew to the North where we visited many historical and UNESCO sites. 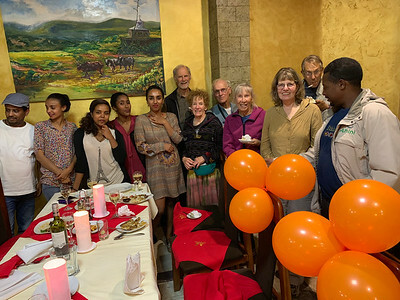 We also did a 5-day trek in the Tigray region, right at the northern border with Eritrea, which is described in a separate gallery “Ethiopia 2- Tigray Trek”. Finally a 3rd gallery “Ethiopia 3- Omo Valley” describes our visit with the colorful tribes in the South. 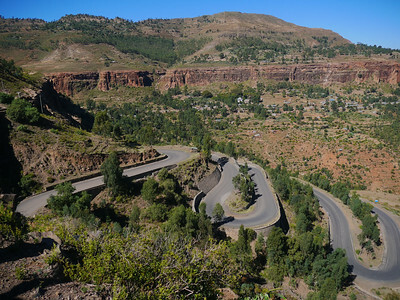 This gallery describes the Historical Circuit, which is the most popular tourist excursion in Ethiopia. It is offered by most tour companies. 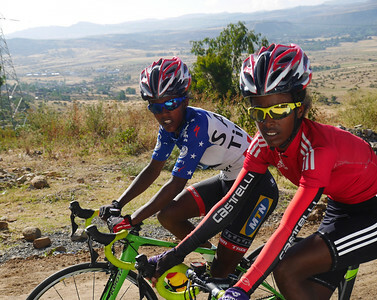 It is a well defined tour with good roads and an established tourist infrastructure. 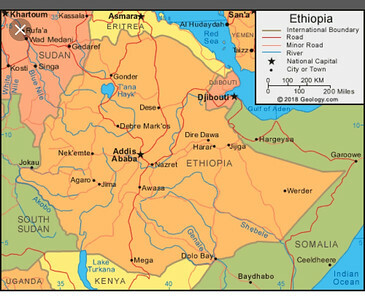 It includes Yeha, Axum, Gondor, Lalibela, and Lake Tana. 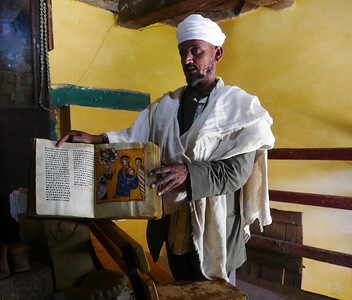 The rock carved churches in Lalibela are well known. 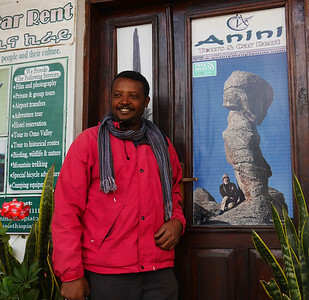 Solomon in front of Anini office in Addis Ababa. 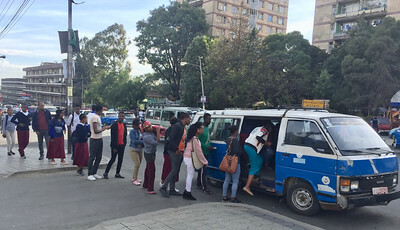 Addis Ababa- Lines are very orderly as people use mini bus transit. 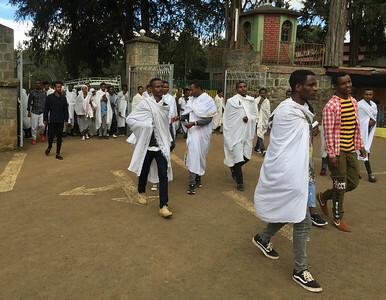 Addis Ababa -People going to church at Menelik II Palace. 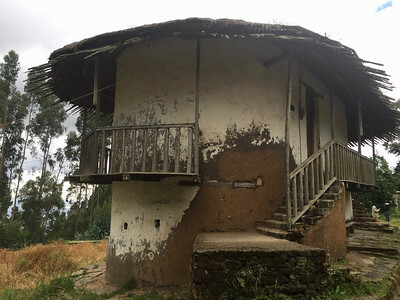 Addis Ababa- Menelik II Palace. 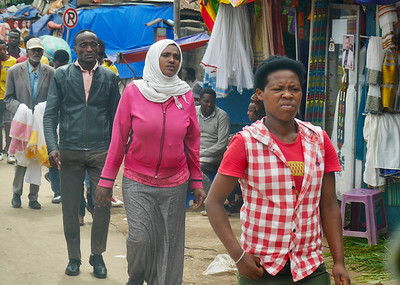 Addis Ababa - people on the street. 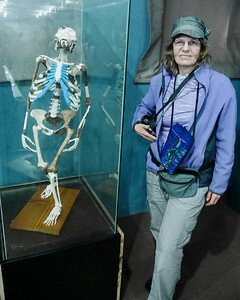 Lucy is the main attraction at the National Museum in Addis Ababa. 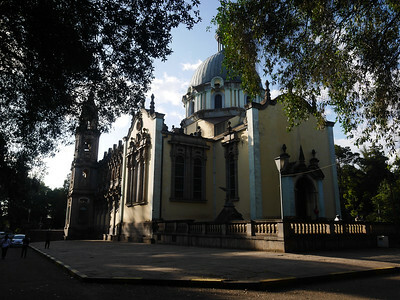 Trinity Church in Addis Ababa. Haile Selassie is buried here. 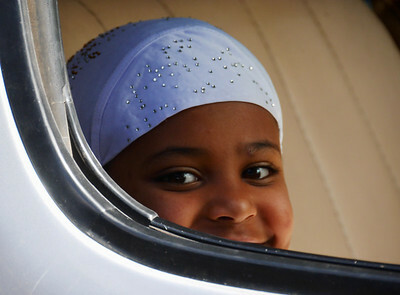 We flew to Mekele. We were invited to a birthday celebration at the hotel we stayed at. Driving from Mekele to start of the Tigray trek. 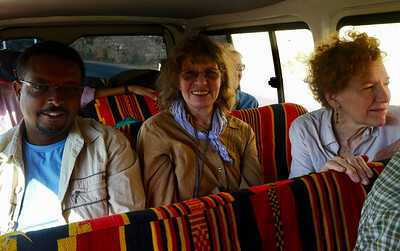 Driving from Mekele to start of start of our Tigray trek. From the van. 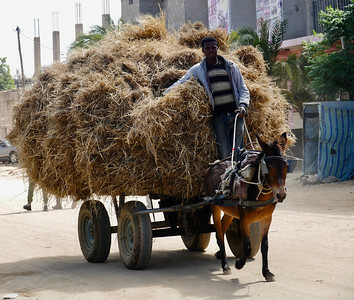 In Hanzen - A typical scene in Ethiopia. After the trek and a night in Adagrat, we drove down off the plateau on the way to Yeha. A good view of Northern Ethiopia on the drive to Yeha. 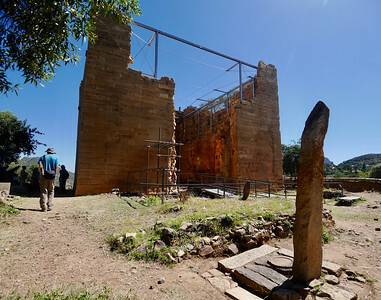 The Great Temple at Yeha. 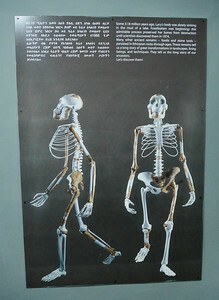 It is believed to be at least 2,800 years old. A priest showing us an old manuscript at Yeha. 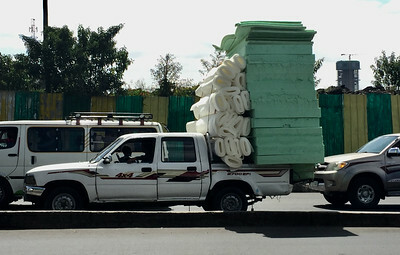 We saw many books like this in Ethiopia.